Ross and I went on a weekend trip to Lake Tahoe a few weeks back, and snow was in the forecast. 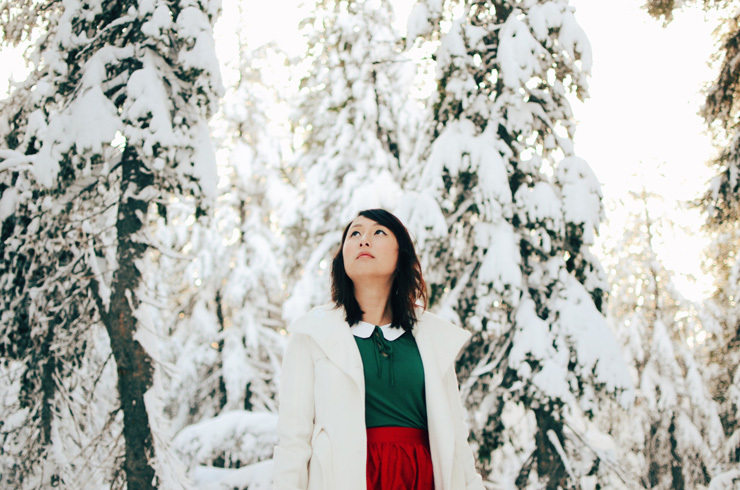 Living in LA, I never get to see snow and was excited to have it on our trip. 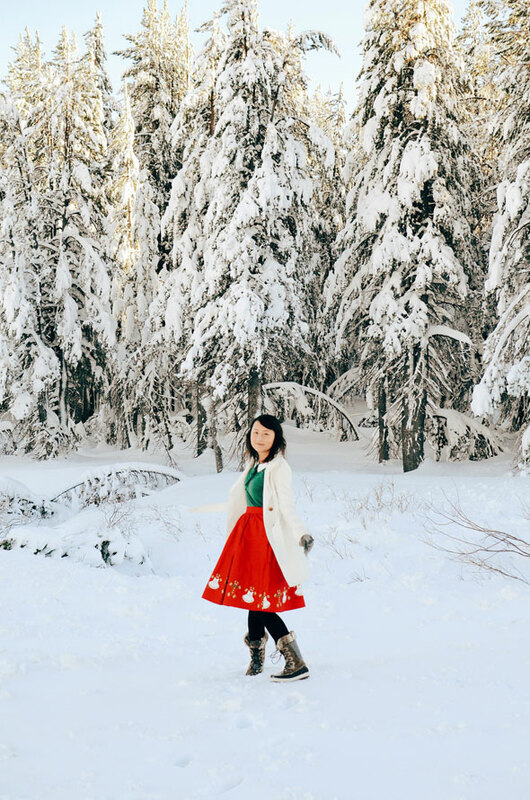 Also, I figured the snow would make for pretty blog photos so I brought along a whole suitcase of Christmas-themed outfits for outfit photos to post in December (I know…an entire suitcase full of photoshoot clothes, what am I, a model??). Christmas is probably my favorite holiday, behind Halloween. Ross and I are not religious (we’re pretty much agnostic) but I think almost anyone can relate to the feelings of the holiday season. I like spending time with loved ones, reflecting on the past year and of course, all the delicious food, especially the Christmas cookies! I love baking all different kinds of cookies at Christmastime.